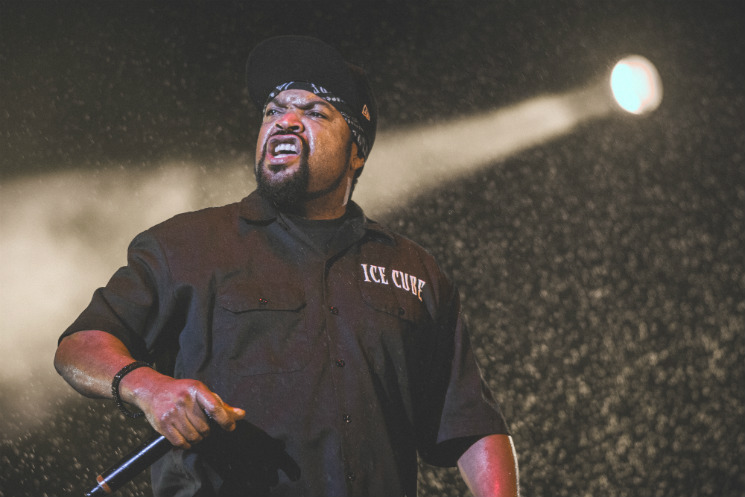 A terrifying scene played out at a San Diego racetrack when a man unloaded his gun into a crowd after being told there were no more tickets to an Ice Cube concert. The man — whose name and age have not been released — came to the ticket window at the Del Mar Fairgrounds about 6:40 p.m. local time Sunday (September 2), the San Diego Sheriff's Department said in a press release [via the Associated Press]. After being told there were no more tickets to the Ice Cube show at the racetrack, an argument reportedly erupted, leading the man to pull out a semi-automatic handgun and fire several shots into the crowded event space. The man was then shot by police and is currently in hospital. According to police, no bystanders were injured in the shooting incident. You can hear the incident play out in the video below, where you can hear several shots being fired. After the racetrack tweeted the "situation has been contained," the Ice Cube concert went ahead as scheduled.